Ready to start living la vie en rose? It’s time to play out all of those Parisian fantasies we both know you have! 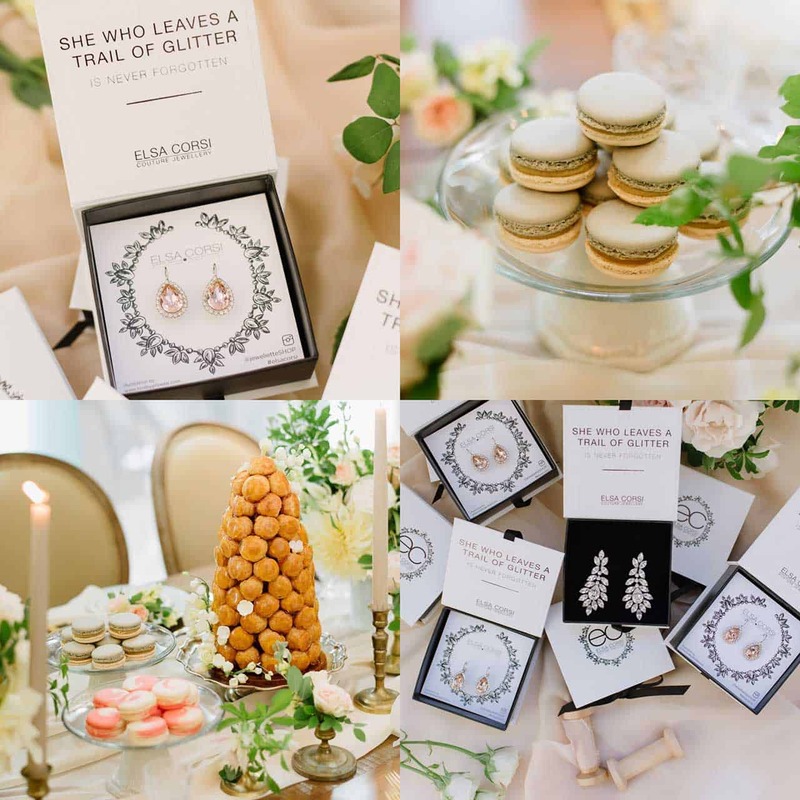 As Currently featured in the Winter/Spring 2017 issue of Elegant Wedding Magazine (page 86) you can now Enter our $10,000 “French Tea Party” bridal shower contest for you and 10 guests! 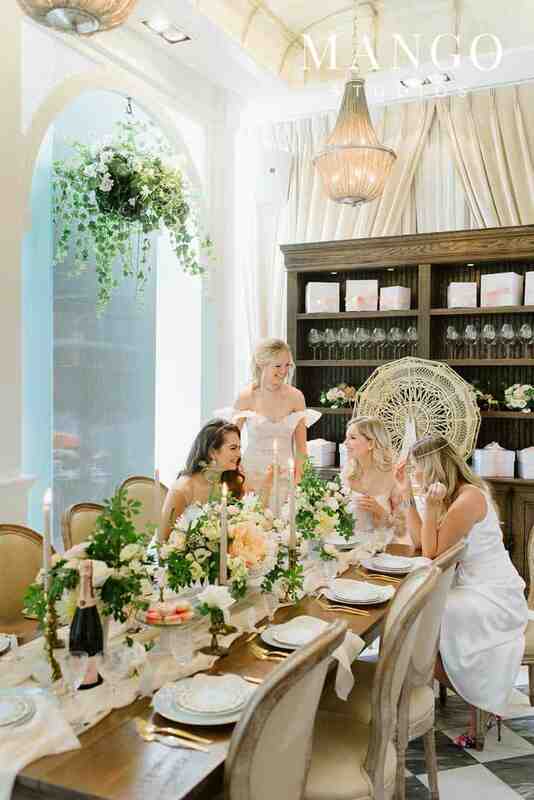 It doesn’t get more luxurious than a soiree inspired by the city of lights and romance! If you are lucky enough to be the winner of this fabulous party – Save The Following Date – You and your friends will be celebrating in exquisite grandeur on April 4, 2017! It’s not a party without one of our custom couture dresses! Let me, personally, style, design and create a jaw-dropping white shower dress just for your celebration. Champagne, hors d’oeurves, sweets and a stunning venue in the heart of the Distillery District. It truly doesn’t get any more Parisian than cuisine inspired by Colette outside of France. Renowned for their elegant space and to-die-for french cuisine we know you’ll be in love from the first bite. 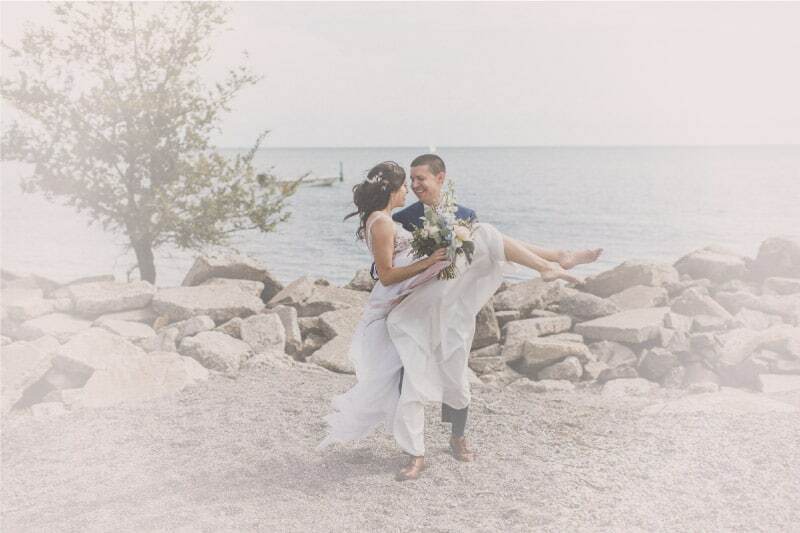 Photography of your celebration from famed-Toronto photographers. Mango Studios will delight you and your entourage with images to cherish long after the cake is served. One-Of-A-Kind scrumptious edible three-tier art piece. Cake design as art? Absolutely with this one-of-a-kind scrumptious edible three-tier art piece. An incredible sweet treat to cake off one incredible event for you and your friends! Props, vintage styling and sofas to lounge on. Props, vintage styling and sofas to lounge on while you sip champagne. Luxury furnishings and adornments for your big soiree. You’ll be fancy and fabulous with glamorous locks and perfect pouts for the bride and two friends. Ready for your close up? A bridal shower MUST! Custom and creative notes with that luxurious ferris wheel inspiration. Custom design and printing from Toronto’s most award-winning stationery design firm! Perfect posies for your gal pals and lush and colourful blooms for your grand table add style and elegance to your event. Celebrate surrounds in glorious florals – the only way Living Fresh knows how! Planning, décor and of course, styling of the whole celebration from start to finish that only a Professional can provide. Toronto’s elegant bridal planning service. 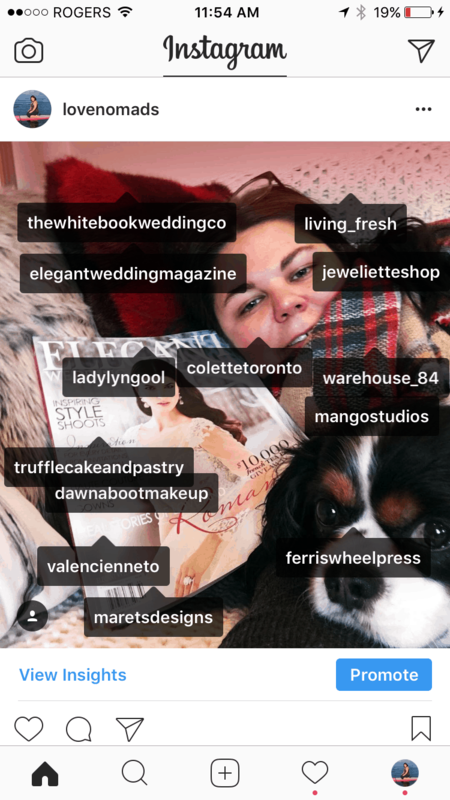 Follow these fantastic Toronto based service providers on Instagram! 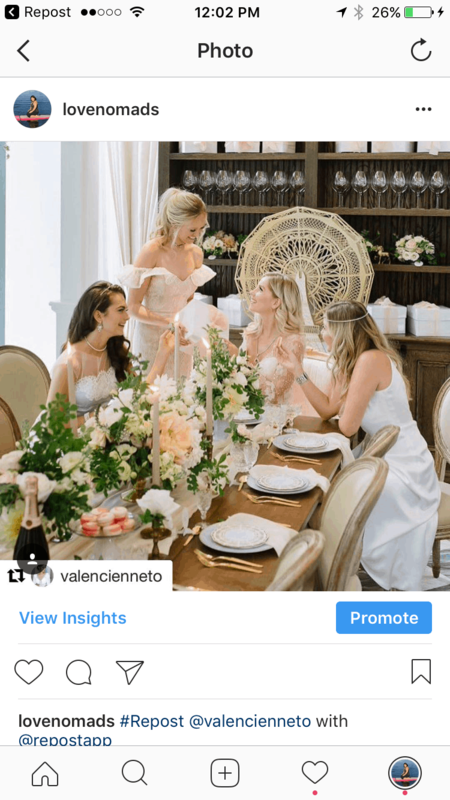 Repost any of these photos from the shoot or take your own snapshot from current the elegant Wedding magazine French tea party shoot and tag @elegantweddingmagazine on Instagram! Ladies, opportunities like this don’t come around every day. This is one absolutely stunning party (heck, I’d LOVE an invite). It’s stylish, sophisticated and instagram-worthy. What you win is EVERYTHING you see in these images!!! You and your entourage will have a party to remember for a lifetime and I personally am so ready to design you something incroyable (ie. incredible) for your soiree. So, what are you waiting for? 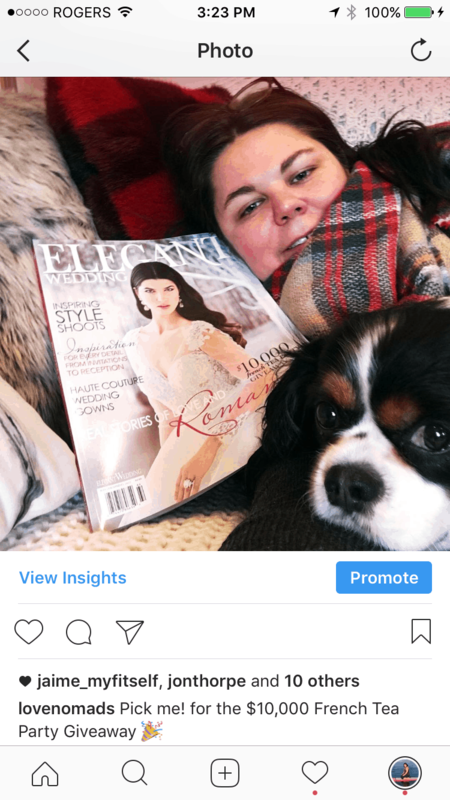 Get Instagram’ing away! We cannot wait to celebrate with you.